My first introduction to Chairlift was to their single, “I Belong in Your Arms,” off their 2012 release Something. The simplistic message and the catchy chorus was what drew me into Chairlift initially, and the dark, almost 80’s inspired electronics in some tracks held my interest. 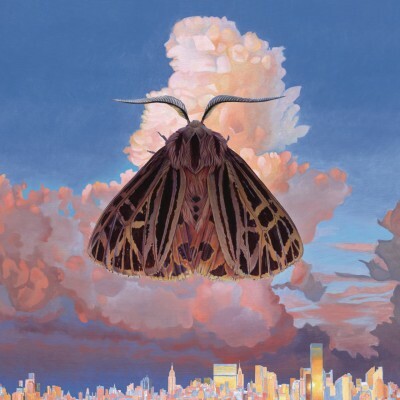 To say much has changed since then for Chairlift is an understatement: Moth has a much lighter, breezier and even jazzier sound than Something, and for lead vocalist Caroline Polachek, Moth is a much more vocally challenging album that shows off her rich voice. “Polymorphing” is a heavily arpeggiated song that takes Polachek’s voice to the higher part of her range and back down again with a markedly more R&B influence than their past work in not only the vocals but the instrumentation as well. The rhythm and feel of the song is definitely funk inspired—the brassy backups and jazz guitar are backed by a bouncing beat contributing to the already contagious feel of the song. This is definitely mirrored in “Ch-Ching” and “Show U off,” which have a similar, upbeat feel and jazzy aesthetic. Equally catchy are “Moth to a Flame” and “Romeo,” which have more of a pop feel. “Romeo” is definitely the takeaway single of the album, a catchy upbeat love song based on the mythology of Atalanta, the runner who refused to marry unless her suitor could defeat her in a footrace, with the lyrics, “Hey Romeo/ Put on your running shoes/ I’m ready to go”. The quirky music video accompaniment features a very Karen O–esque Polachek running around New York’s Chinatown succumbing to instrumentalist Patrick Wimberly‘s charms and taking off in his motorcycle, in a modern twist to the mythology.